As part of the implementation of ACA (Affordable Care Act), companies with more than 50 full time employees are required to file information returns forms 1095-C and 1094-C starting from 2016 (2015 tax years). www.1095manager.com is an online software for creating forms 1095-C, 1094-C, printing, and filing the forms to the IRS. It simple, efficient and flexible for companies to manage all of their 1095 information reporting needs. The actual applications and data reside on www.1099manager.com, our website for managing 1099-misc and 1099-R information returns. After registration, you can visit www.1099manager.com directly to manage and process 1095-C forms. The 1095 Manager application is integrated with our information returns filing service website, www.1099manager.com. You will be re-directed to the Register or the Login page to create your account and manage Form 1095-C. 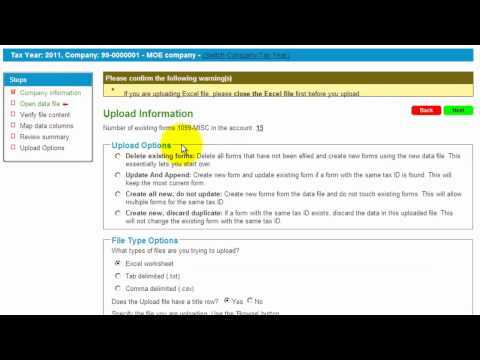 Create & print 1095-C forms – one form at a time or import data to create forms in batch. Import - Import your data from your favorite spreadsheets, including Excel or tab delimited text files. Data Entry - Manually enter your data one by one using our online data entry 1095 Manager interface. Edit, Add, Delete Forms - Manage all your form 1095-Cs using our intuitive status interface. Advanced Search - Use the advanced search option to pinpoint data information or details in managing your IRS form 1095s. Print & Mail - Create a batch of form 1095s to print or print individual forms. E-File – Submit the forms to the IRS electronically when you are ready. Generate PDFs - Generate PDF versions of all form 1095s for local storage or record-keeping. 1095 correction – Prepare, print and eFile 1095 corrections after the forms have been eFiled to the IRS. 1099 Manager has been an IRS approved eFile service provider since 2000. Transactions on the site are protected with up to 256-bit Secure Sockets Layer encryption. 1099 Manager is a service provided to you by C&S Technologies, Inc., a company established in 1996 as an IRS authorized software developer and e-file partner. Paycheck Manager The easiest online payroll software for small businesses. Generate and print paychecks, pay stubs anytime. Payroll taxes, payroll returns and due dates automatically updated. eSmart Paycheck Compute, print paychecks & pay stubs in minutes. Register to save paychecks and manager payroll for free. Optional payroll tax deposits and payroll efile services available for fees. eSmart Payroll Prepare and efile one or multiple 941s, 940s, upload data file for W-2, W-2c, 1099-misc and correction efile to the IRS and SSA. Simple Payroll Full service, online payroll where we will make tax deposits and file payroll reports for you.